CA IPCC 2018 examination result will be available very soon. The CA IPCC examination has conducted for the academic year 2017 – 2018 from 3rd May 2018 to 15th May 2018. The CA (Chartered Accountants) IPCC (Integrated Professional Competence) examinations for the academic year 2017 – 2018 started on 3rd May 2018 and ended on 15th May 2018. The result for the CA IPCC Nov 2018 has not released yet. The result date for the CA IPCC Nov 2018 will be 8th February 2019. Here e give you all the details about the CA IPCC Nov 2018 Results. The result of the CA IPCC November 2018 Will Declared On 5th February 2019. Intermediate (Integrated Professional Competence) Examination held in November 2017 is declared on Sunday. Result Will Declares with merit list and topper list. You, Will, Got here full information about how to check result online here. Below Table show expected pass percentages. A pass certificate will be issued to the students who clear both the groups of IPCC May 2018 Examination either together or group-wise within 60 days of the date of declaration of the result. A student, who passes group I, as well as group II exams of IPCC Nov 2018, will be qualified for CA Final. 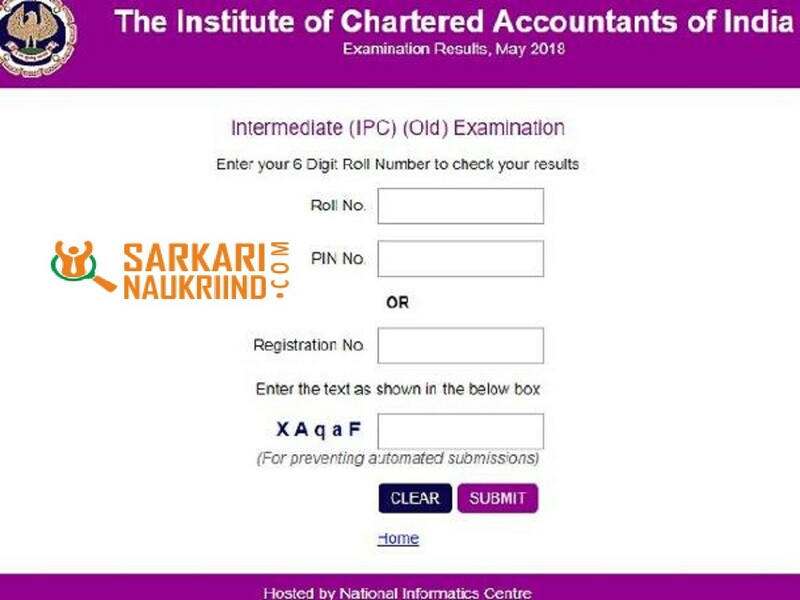 After clearing IPCC, Institute of Chartered Accountants of India will issue pass certificate to all the past students that will reach you on your registered address within 2 months of result announcement. Go to the official site of ICAI, icaiexam.icai.org. You need to upload a scanned copy of your handwritten request duly signed by the candidate and in case you are a Hindi Medium student then the application must be in Hindi only. Print the Confirmation Page for future references. CA IPCC 2018 November Result Also Check By SMS. You Can Also Check Result just sending an SMS. According to IPCC Board Just Send SMS to 58888 From Mobile Number. Type ‘CAIPCOLD’ or ‘CAIPCNEW’ followed by Space and Your Roll Number And Send SMS.